Every little girl needs a bag! All are handmade from the very best cotton and of course they all have Peggy’s face on the front. The green and pink cotton bags are the perfect size to hold a Peggylicious book as well as a notebook and craft roll. Great for keeping children occupied in the car, at home or on holiday! So cute for any little girl. 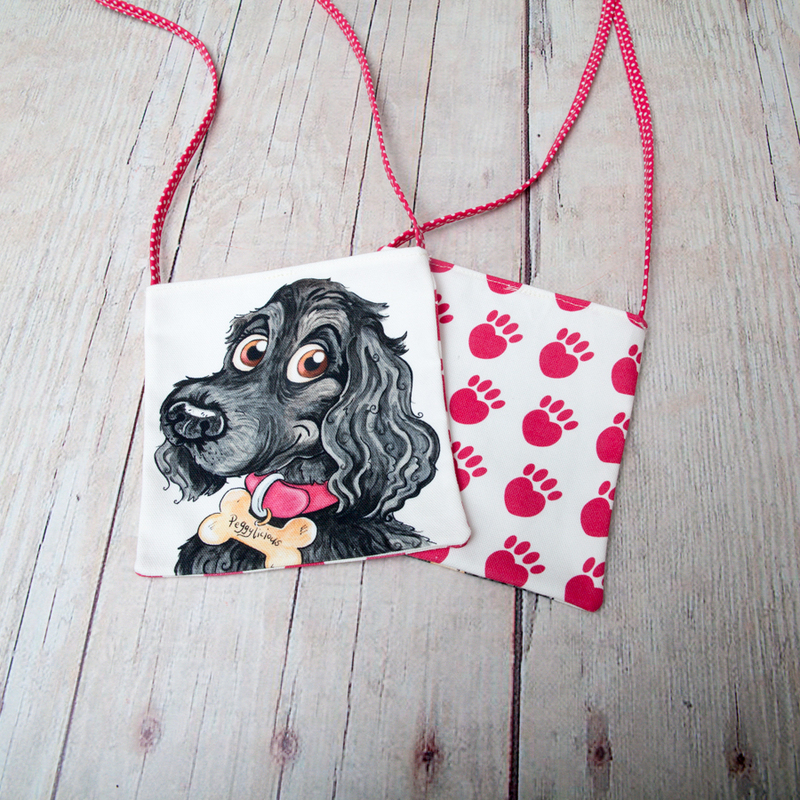 Has Peggy’s face on the front and pink pawprints on the back with a pink spotty shoulder strap. Size of bag 16cms x 16cms. A perfect gift for just £5.00.